“I’ve had my eye on Steve since he first appeared in the NIHL with Bristol and so it’s great to have the opportunity to now bring him to Gillingham. He has grown as a player in this league and put up some big numbers over the past three seasons and it’s great for me to be able to bring in a forward of his calibre with a proven track record at our level. 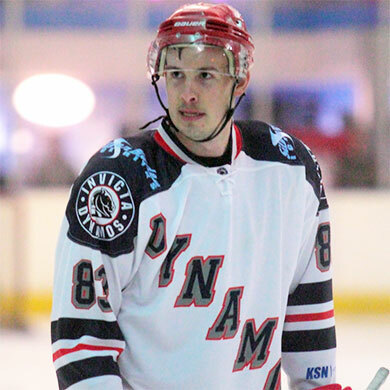 When he has visited with Bristol, Cardiff and Wightlink in previous years he has always been a player to look out for so it will be good to finally have him at our disposal in 2014/15”. Steve is a hard working two-way centre-man who is strong in the faceoff circle and notches more than his fair share of goals and assists over the course of a season. He’s a good team player and a perfect fit for what we’re looking to build at the Dynamos for the coming campaign”.